It is not unknown for aging sports heroes, say, to pick up some needed cash by auctioning off a game ball or World Series ring. The Christie’s sale of The Collection of Peggy and David Rockefeller [’36, G ’37, LL.D. 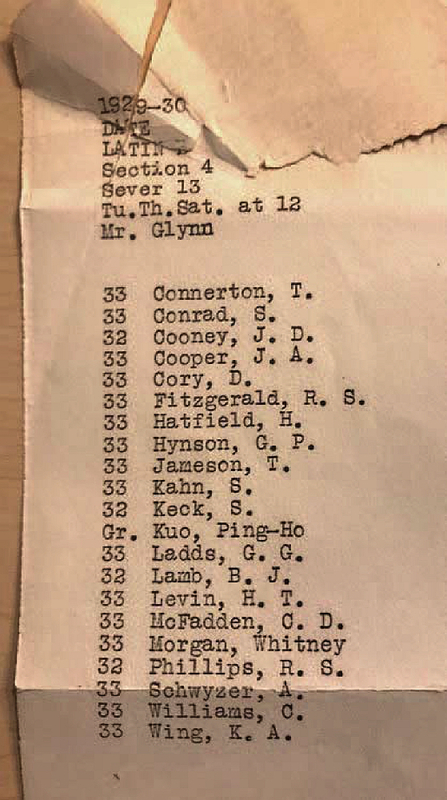 ’69] in May differed in intent (proceeds benefit charities and institutions including MoMA and alma mater) and character (few athletes own Ming bowls), but the auctioneer did note that items on offer included Harvard cufflinks and a silver ashtray honoring David Rockefeller’s service as an Overseer. That solution was successfully advanced by Janet Pascal ’84. It happily suggests, if biologists and astrophysicists are right about their respective realms, that the University’s life expectancy is a few billion years longer than previously forecast.